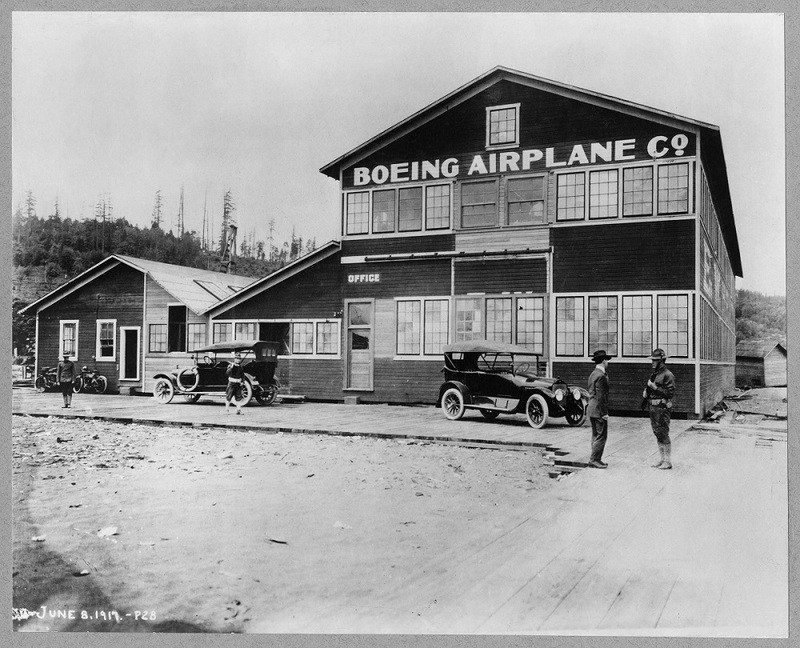 Wondering what Seattle’s history has to do with WWI, The Great War, also called The War to End All Wars? Turns out, quite a lot, judging by MOHAI’s (Museum of History and Industry) current exhibit, WWI America. This multimedia, interactive exhibit chronicles events leading up to The Great War, the war itself and its aftermath. Most noteworthy, “It’s an exercise in sensory immersion,” says Brian Horrigan, Curator at Minnesota Historical Society. Horrigan helped develop the program over a three-year period. 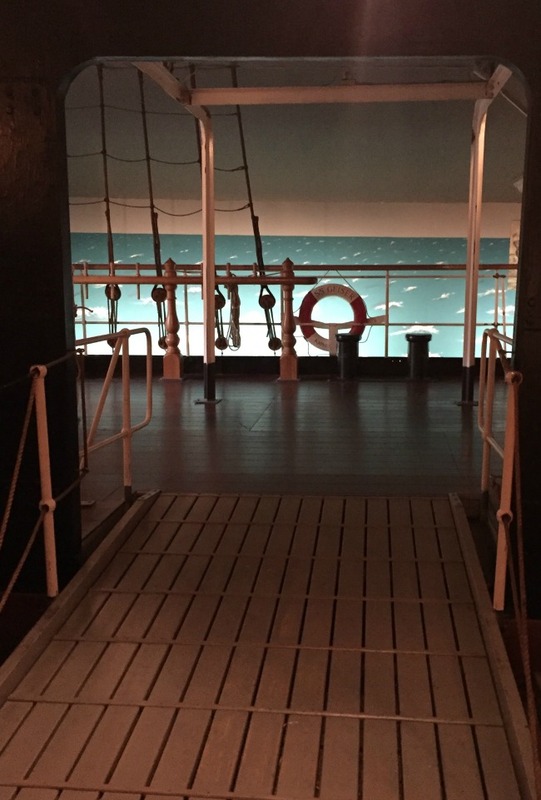 He invites visitors to explore America’s turbulent transformation onto the global stage through the exhibit’s 300 images, thirteen different media pieces and notable artifacts like a desk chair from the Lusitania. The four-year, three-month and 14-day war “shaped the nation in profound and lasting ways,” explains Horrigan. 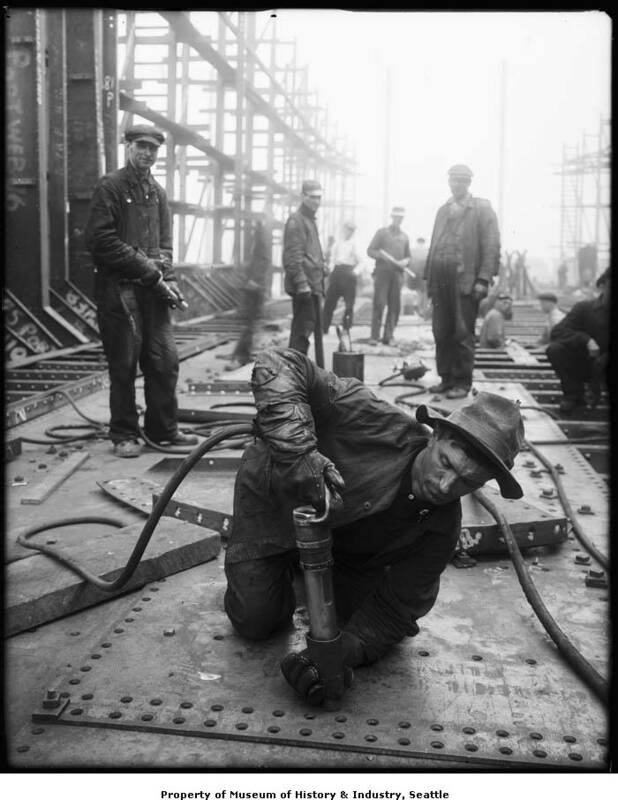 From local volunteers and those drafted into service, from the Skinner and Eddy shipyard to Boeing’s beginnings, viewers can also follow the trail of national events to the war’s impact on Seattleites. Through the stories and photos of real people whose lives were upended irrevocably because of the war, visitors gain a sense of immediacy, emotional resonance and current relevance. 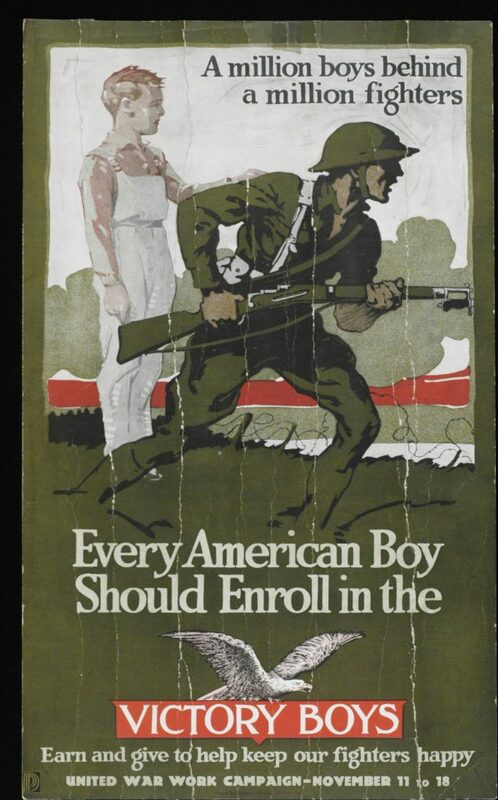 Inspired to learn more about the origins and effect of WWI on past and present America? 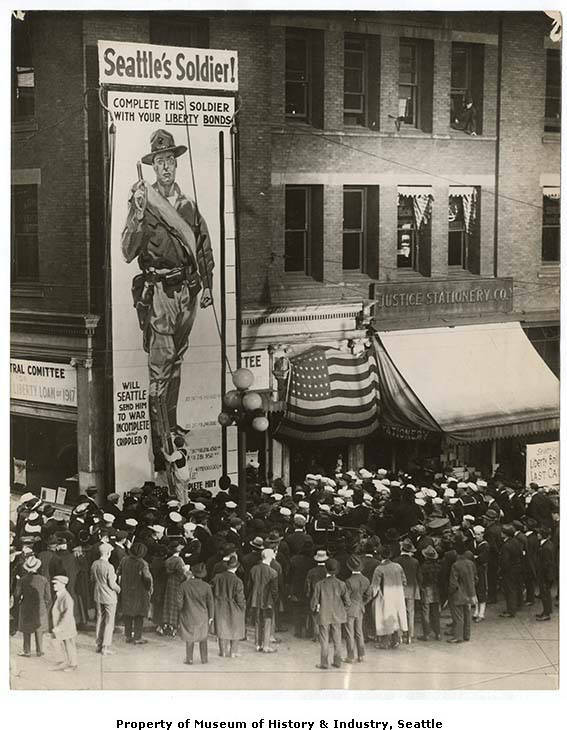 MOHAI has lined up a number of special events to coincide with the Armistice Day Centennial Commemoration on November 11th, the day the war ended. Wednesday October 3rd, 6PM, MOHAI presents a special performance of Northwest Passages by Living Voices to capture the devastating impact of The Spanish Flu, brought to America by returning veterans. Visitors can discover how to prevent the spread of flu today and even get a free flu shot, hosted by Bartell Drugs, on site. Saturday October 20th, 11AM, 12 and 2PM – Hear the stories behind the clothing that people wore during the war, paving the way from The Edwardian Era to The Roaring Twenties. Friday November 9th, 6:30 – 9PM, WWI America Member Celebration, kicks off MOHAI’s Armistice Day Centennial commemoration weekend. Saturday November 10th – Monday November 12th, 10AM – 5PM, Attend a major highlight of the exhibit, featuring a special ceremony on the 11th hour of the 11th day of November. Officials will present a ceremonial ringing of the bells, as part of the National Bells of Peace Program, including The Seattle Fire Bell of 1890, which has not been officially rung this century. 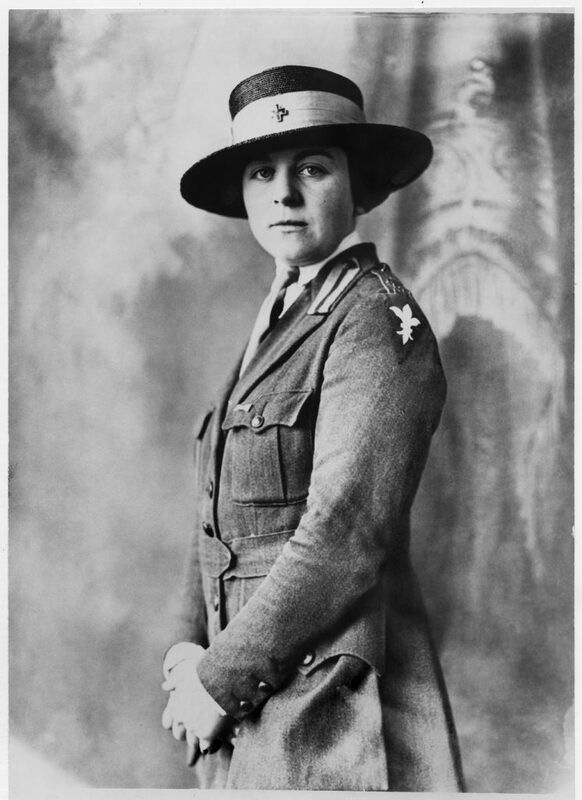 The Guns of August – Thanks to MOHAI’s WWI America exhibit, this might be the year I finally heed my high school history teacher’s advice and read Barbara W. Tuckman’s Pulitzer Prize-winning classic. 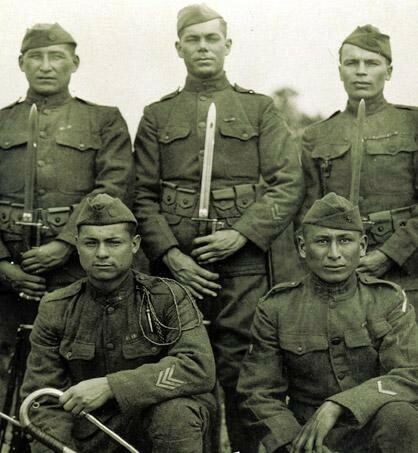 American Experience: The Great War – 3-part documentary, now streaming on PBS. Downton Abbey – The Complete Series – Yes, that Downton Abbey, for a fan-favorite dramatic series with WWI as backdrop. 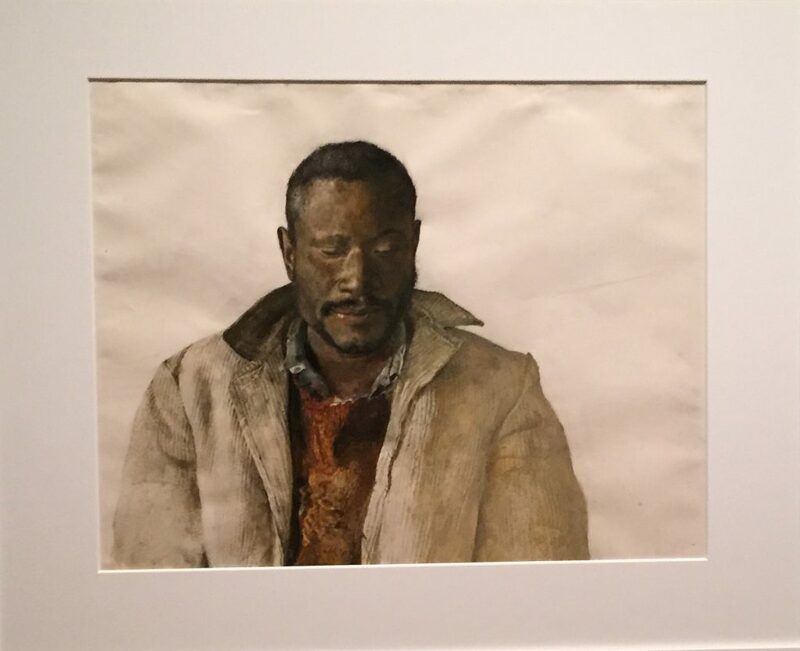 If you’ve been putting off a visit to see Seattle Art Museum (SAM)’s current exhibit, Andrew Wyeth: In Retrospect, the good news is you still have time. The bad news? The exhibit closes next Monday Jan. 15th so waste not a minute getting your tickets. 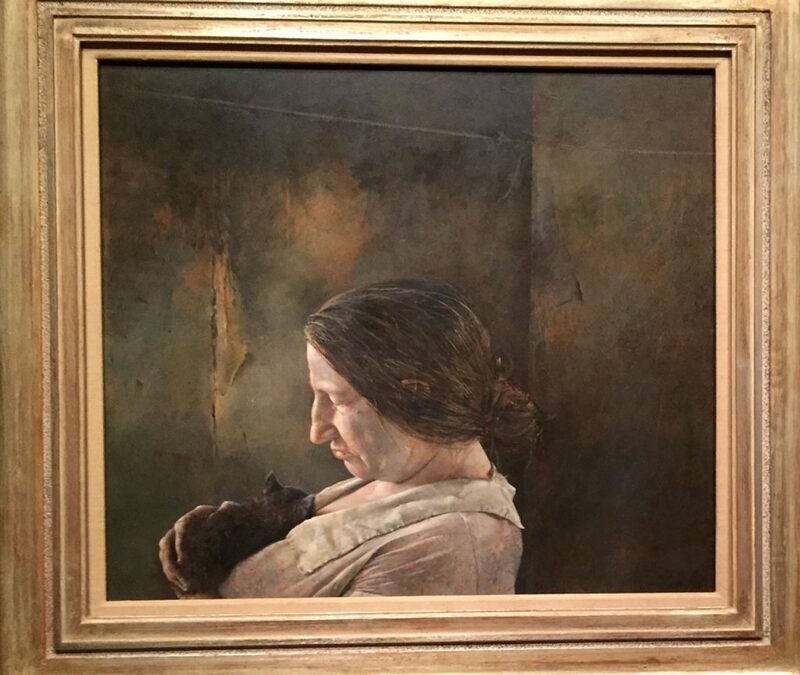 Andrew Wyeth looms large in the pantheon of mid-century American artists, though I was surprised to learn he is less well known on the West Coast according to Pat Junker, SAM’s American Art Curator. Perhaps the fact that Wyeth’s drawings and paintings center around the land and people in his hometown of Chadds Ford, Pennsylvania and coastal Maine where his family summered, contributes to his reputation as a regional American artist. Son of legendary artist, N.C. Wyeth, Andrew followed in his father’s footsteps from a young age, painting at first in watercolors. Later he began using egg tempura as a medium though discouraged from doing so by his father. But whereas N.C. Wyeth had achieved renown as a vivid illustrator of seascapes and swashbuckling scenes from classic literature, Andrew’s works portrayed stark landscapes and a stoic cast of characters. Neighbors like Christina Olson (Maine) and Karl Kuerner, drifter Willard Snowden and nurse Helga Testorf of The Helga Paintings (Chadds Ford) feature prominently in his paintings. One of the most poignant photos from the exhibit features a young boy, his hand outstretched as he runs down Kuerner’s hill outside Chadds Ford. Not shown at the bottom of the hill is the railroad crossing where N.C. Wyeth and his two-year-old grandson were killed when their car was hit by a oncoming locomotive. Theoretically, the young boy in the painting is Allan Lynch, Andrew Wyeth’s childhood friend, who discovered the bodies after the tragic accident and protected them until authorities arrived on the scene. But Andrew Wyeth later claimed: “The boy was me at a loss, really” grieving the loss of his father and nephew. In partnership with the Brandywine River Museum of Arts, SAM’s exhibition celebrates the 100th anniversary of Andrew Wyeth’s birth. The exhibit offers a comprehensive overview of the artist’s 75-year career through the lens of 110 drawings and paintings spanning from the late 1930s to 2008, including rarely seen works from the Wyeth family. 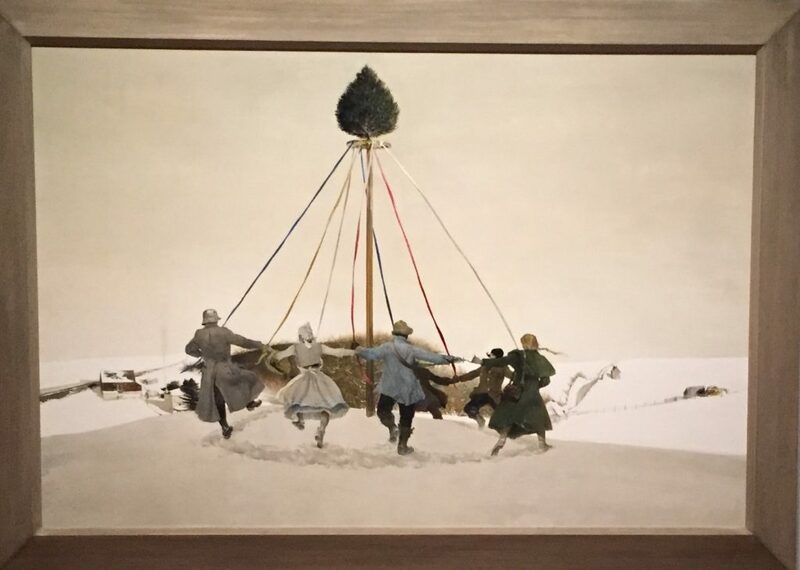 Not only do visitors have the chance to observe Wyeth’s paintings in chronological order for a sense of how his work evolved over the decades; visitors can also get a glimpse into Wyeth’s creative process from the drawings and variety of media on display. 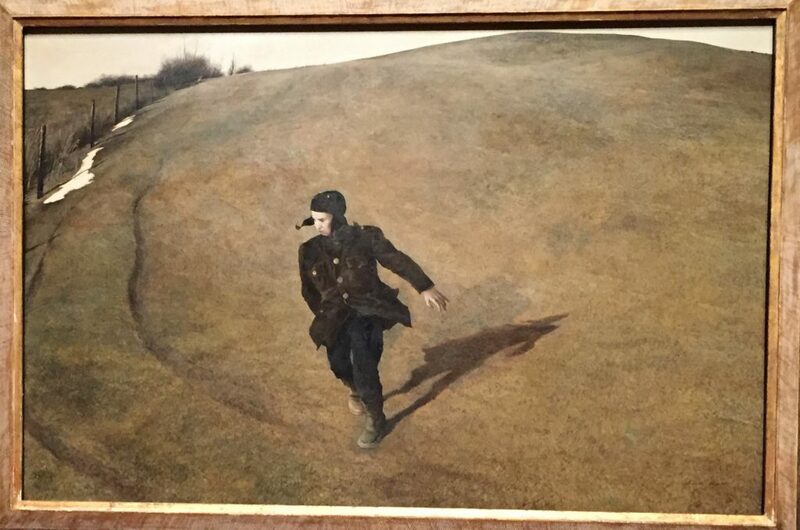 From film clips of King Vidor’s The Big Parade and Ingmar Bergman’s The Seventh Seal, viewers can also explore how Wyeth’s artistry was influenced by film and war images. For more information on securing tickets and extended museum hours for the exhibit this weekend, visit Seattle Art Museum. 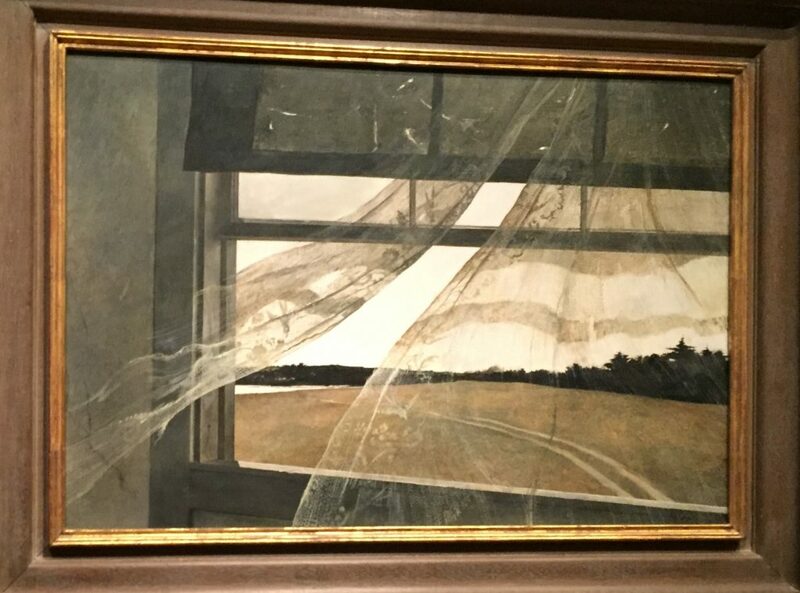 While SAM’s Andrew Wyeth: In Retrospect exhibit closes on Jan. 15th, you can learn more about Wyeth’s film obsessions in the Films of Ingmar Bergman series, hosted by SAM January 11 – February 22, from 7:30 – 9:30PM. Or pick up a copy of the 240-page exhibition catalog, edited by SAM curator Patricia Junker and Brandywine curator Audrey Lewis. The catalog features Junker’s analysis of four significant periods in Wyeth’s career, together with essays by scholars in the U.S. and Jaoan. The catalog retails for $55.00 and is available for purchase in SAM Shop. 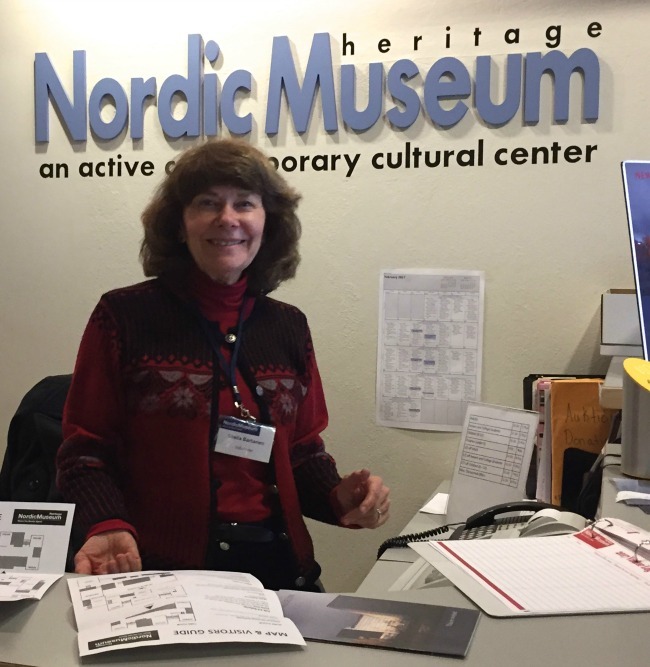 Since 1980, the Nordic Heritage Museum has held a special place in the hearts of Seattle’s Scandinavian community. 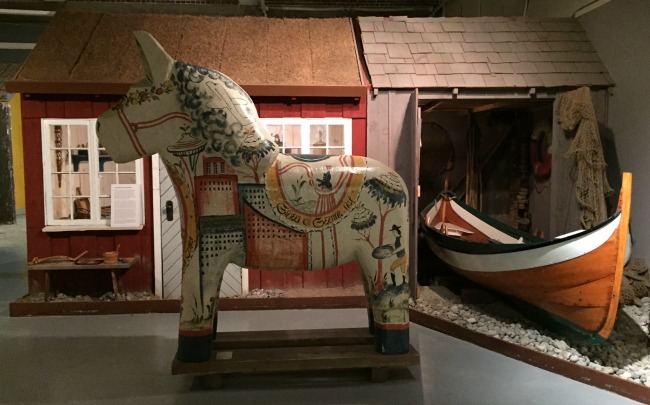 Through rotating art exhibits, permanent collections and special events, the museum is the only museum in the U.S. to celebrate the cultural heritage of all five Nordic countries: Norway, Iceland, Finland, Denmark and Sweden. 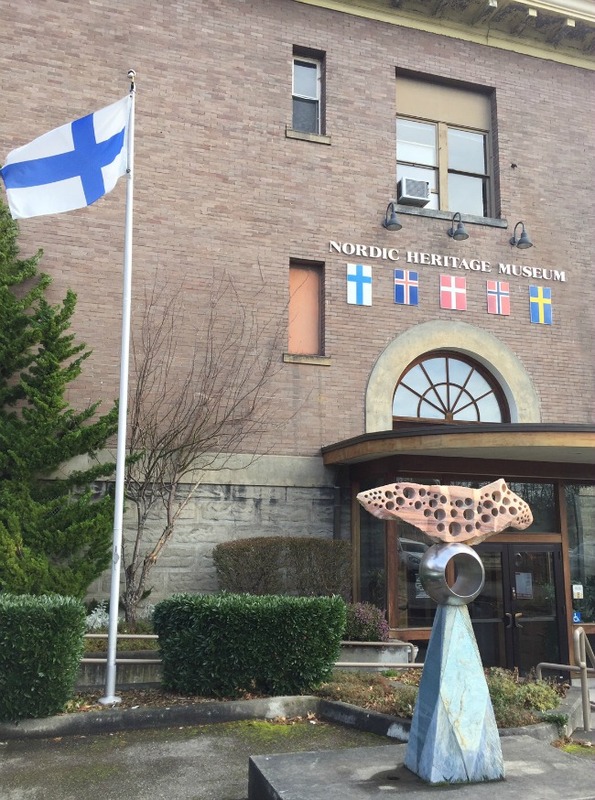 Currently, Nordic Heritage Museum is housed in the former Daniel Webster School in Seattle’s Ballard neighborhood. But with construction already underway, anticipation runs high for its move to a new, 57,875-sq. ft. state-of-art facility in Ballard in 2018. Why not get a head start? 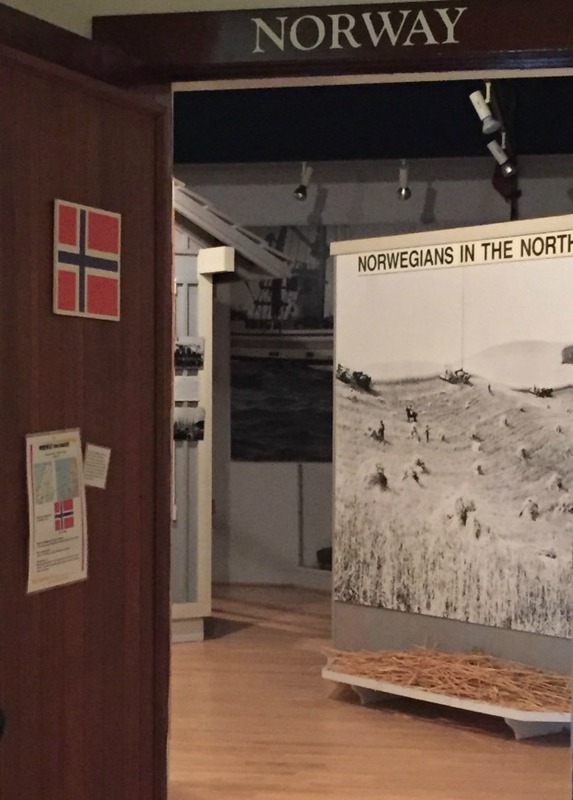 While dreaming of your own visit to Norway, for instance, you can still visit the museum at its present location to get an overview of the ties between Scandinavia and the Pacific Northwest. 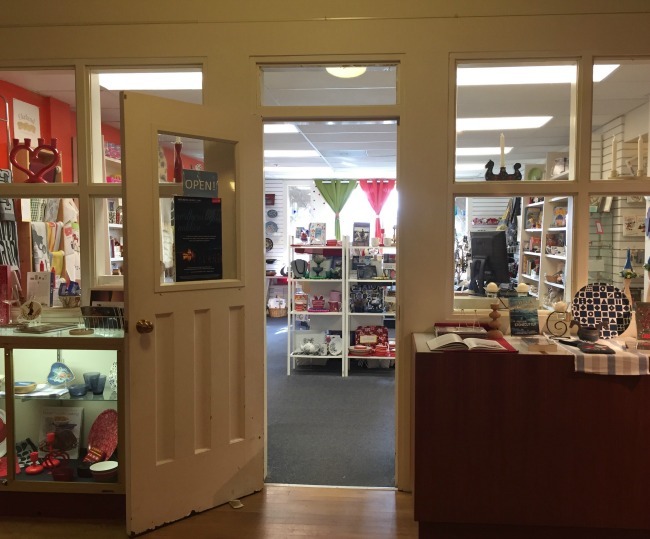 You can even register for language classes, watch a movie, attend a lecture or learn a new craft like Norwegian Rosemaling (decorative folk art), Nordic woodcarving or Scandinavian knitting. To view the exhibits, start your tour on the first floor with a walk through “The Dream of America” exhibit. Attracted by the promise of tillable farmlands, logging and fishing opportunities in the Northwest, emigrants from the five Nordic countries packed their bags and trunks and headed to America. 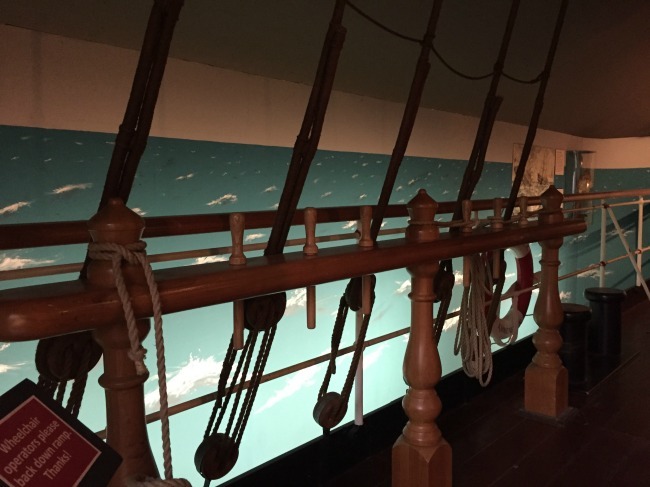 Recreated scenes help us imagine the emigrant journey, from boarding the ships to settling in the New World. 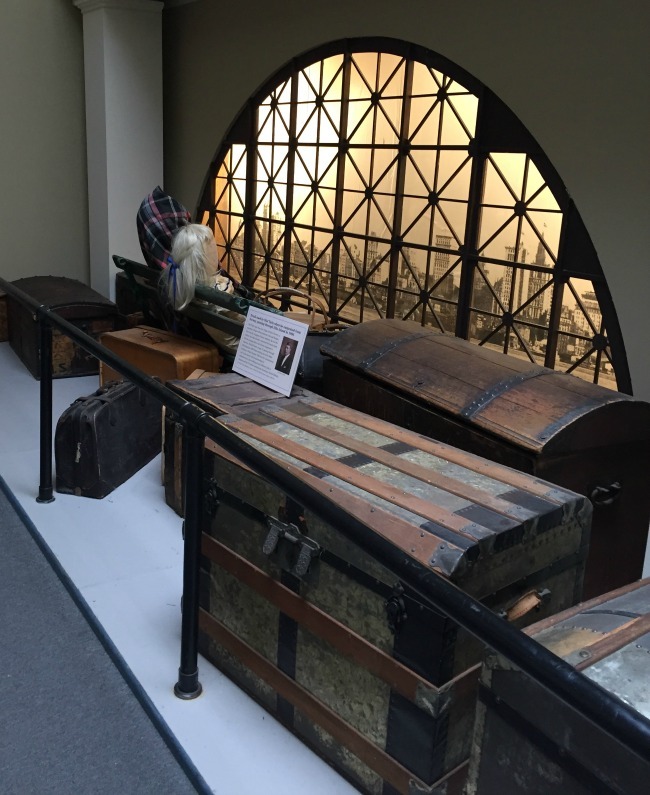 Considering the current focus on U.S. immigrants, the exhibit offers a poignant reminder of our connection with people and cultures across the globe. 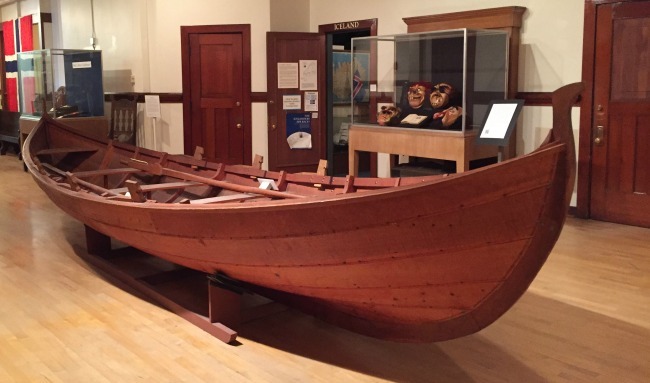 Continue to the second floor to discover more about the fishing and logging industries that brought settlers to the Northwest. In addition to offering a library and gift shop, the new Nordic Heritage Museum will include a café, auditorium and cultural resource center. 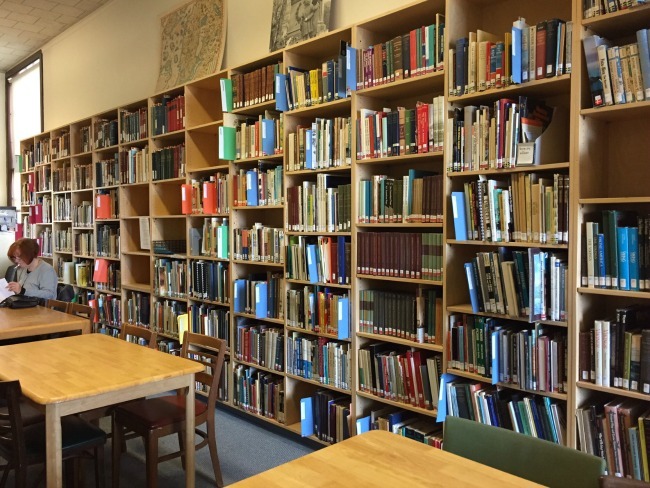 For more detailed information on each of the five Nordic countries, view the National Heritage Galleries on the third floor. * Answer (in order from left to right): Finland, Iceland, Denmark, Norway, Sweden. For more information, visit Nordic Heritage Museum. What about you wanderboomers? What’s your favorite cultural heritage museum? 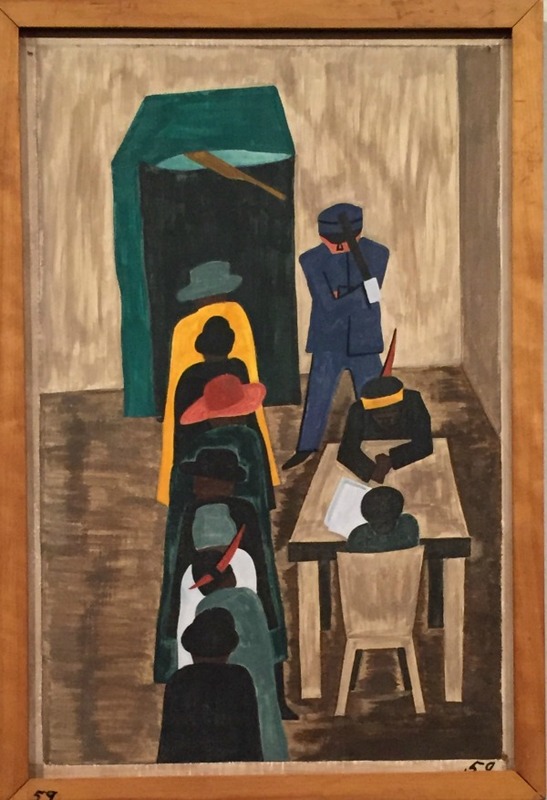 From January 21 – April 23 2017, visitors to the Seattle Art Museum (SAM) have the rare opportunity to view a treasured work of art in its entirety: The Migration Series by American artist Jacob Lawrence. Thanks to loans from the Museum of Modern Art (MoMA) and The Phillips Collection, the exhibit is now on display for the first time in over two decades on the West Coast. 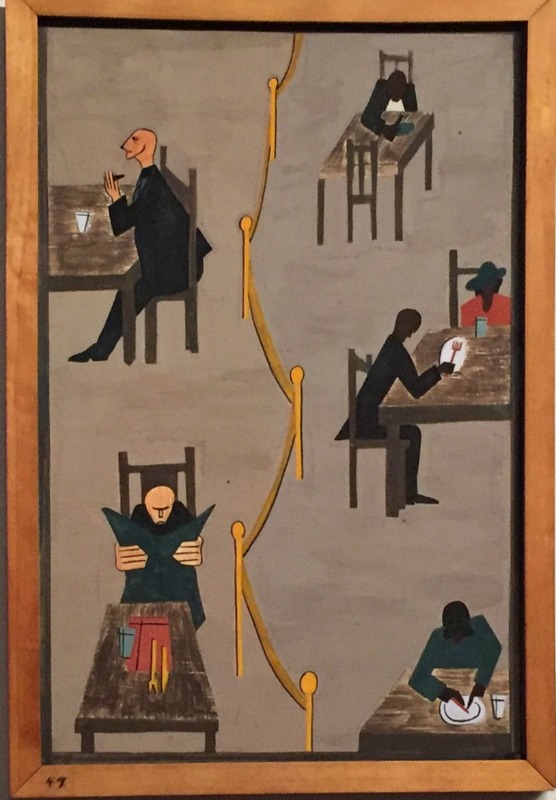 The two museums share the complete, fragile collection of sixty panels: the Phillips houses the odd-numbered panels, MoMA the even-numbered panels. 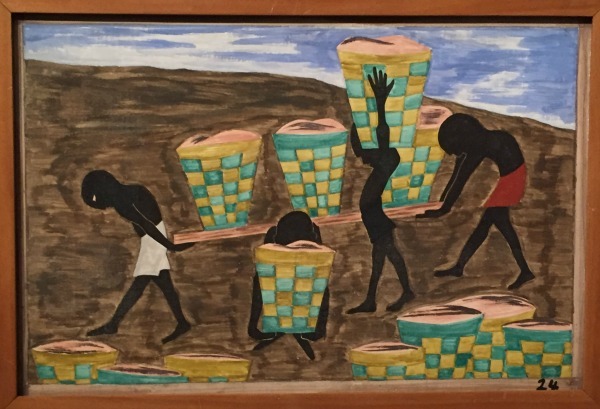 The Migration Series at SAM commemorates the 100th anniversary of Jacob Lawrence’s birth in his adopted home city. Lawrence had accepted a teaching position at the University of Washington in 1971. Together with his wife, artist Gwendolyn Knight Lawrence, the couple were strong supporters of the arts in Seattle. Lawrence completed the series when he was just 23 years old (1941). The panels tell the story of the exodus of African Americans from the rural South to the industrial North between World War I and World War II. The artist had received a government sponsorship for the arts and was living in Harlem. Here he conceived the idea of a large mural representation of this significant chapter in American history. His own parents had been part of the early migration wave. He had absorbed the history of the Movement by listening to the personal stories of his mother and her friends. The Migration Series captures their stories in spare, unflinching, colorful detail on canvas. To bring the Movement to life, Lawrence created the epic journey in casein tempera on hardboard panels, each measuring 12 x 18 inches. Through unity of color, composition and display, the overall effect is rhythmic, an echo of the Movement itself. In a 1998 interview with MoMA curator Ann Temkin, the artist explained how he worked quickly from drawings to painted completion over a six to eight-month period. In painting all sixty panels in the same color at one time, he intended for the panels to be considered a unit. 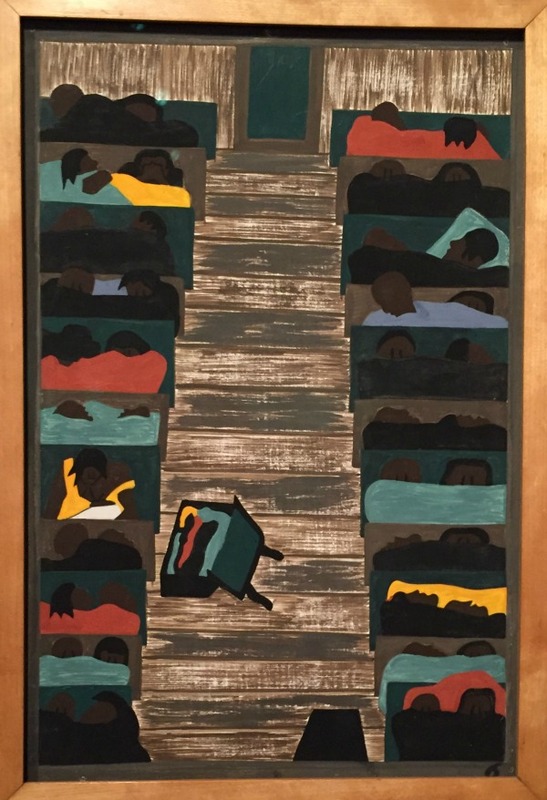 In his vivid, vibrant portrayal of the African American exodus, artist Jacob Lawrence invites us to walk with him through a significant event in American history. 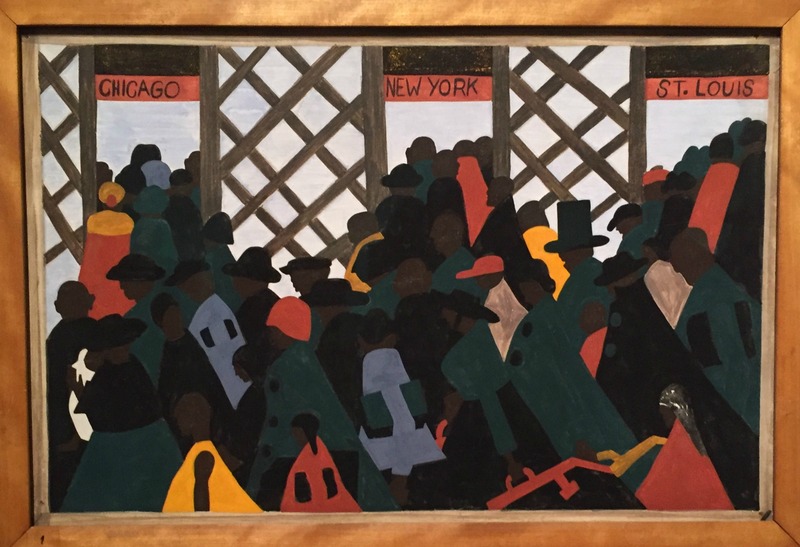 The story begins with a simple inscription in Panel 1: “During World War I there was a great migration north by southern African Americans.” In this one image, we sense the scope of the Movement. We view the scene from behind a multitude of migrants bound by train for Chicago, New York and St. Louis. Viewing the flat, faceless, angular forms of a collective in transition has a somber effect. The narrative and images of the harsh social conditions that drove the exodus reinforce the mood: “They were very poor” (Panel 10). “Food had doubled in price because of the war” (Panel 11). “For African Americans there was no justice in the southern courts” Most stark of all, “There were lynchings” (Panel 15). In the shapes of the downcast, hunched figures viewers experience the weight of social oppression and upheaval on the journey to cultural change. Yet despite facing new challenges in the North, like discrimination (Panel 49), house bombings (Panel 51), race riots (Panel 52) and tuberculosis (Panel 55), Lawrence’s panels evoke resilience. The migrants kept coming. Ultimately, the artist leads us to a hopeful vision. In the final panels of his series, migrants receive more educational opportunities (Panel 58) and the right to vote (Panel 59). What about you, Wanderboomers? 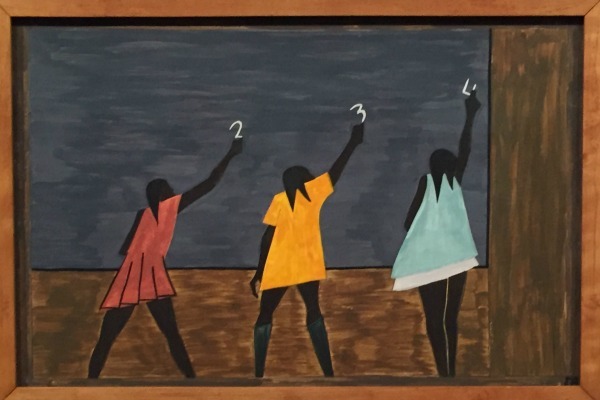 What’s your experience with the art of Jacob Lawrence?